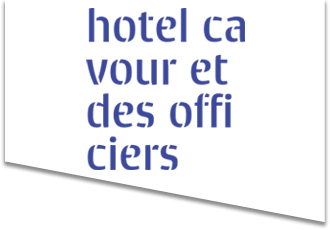 In the Carlo Alberto Fortification of the fortress, the elegant and sophisticated Hotel Cavour et des Officiers is waiting for you for a very special stay. It was realised by renovating the ancient part dedicated to barracks, garrison’s and women’s accommodations, above the old bread oven. 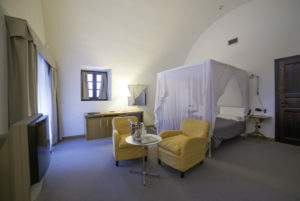 We are proposing to our Guests a unique experience spending the night within the walls of the Fortress, choosing among 11 elegant rooms finely furnished by the famous designer vico Magistretti, realised by the Studio E’ De Padova, just a few metres from beautiful works of art.